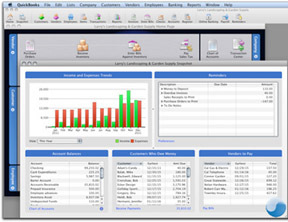 QuickBooks™ is a software program designed to improve productivity for small business owners. It helps you manage your accounting and financial tasks easily. Save $28 and register for the QuickBooks™ Series. Learn how to generate reports in QuickBooks™ 2018 and reconcile your accounts with bank statements. Find out how to customize forms, export data to Excel, prepare reports for presentations, and formatting. Prerequisite: mastery of skills taught in Beginning and Intermediate QuickBooks™ classes. Please Note: This class is for QuickBooks™ Desktop version, and not for QuickBooks™ Online.